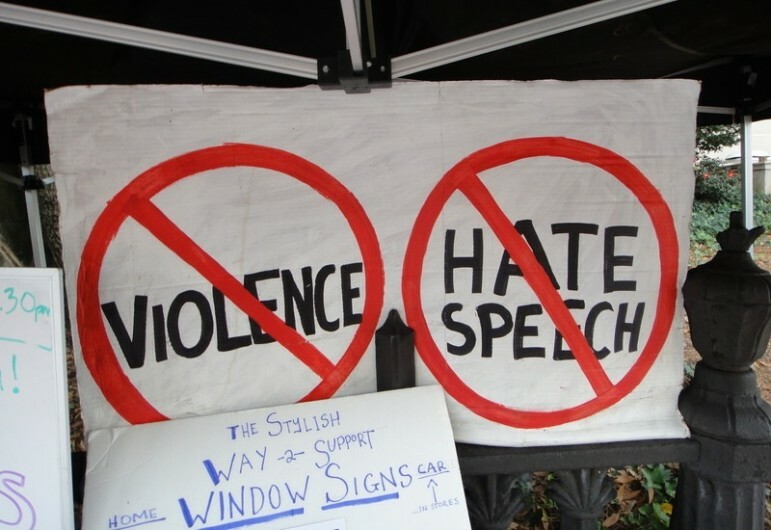 According to a new report from the Southern Poverty Law Center, the number of hate groups in the United States rose significantly in 2015, growing for the first time since 2010. The SPLC recorded an increase of 14 percent. Much of the increase was driven by growth in Ku Klux Klan chapters and in black separatist groups that, for example, express antipathy for or “demonize” whites, gays, or Jews, but, in general, the numbers of anti-gay, anti-immigrant, and anti-Muslim groups grew as well. The number of KKK chapters in America more than doubled from 2014 to 2015, rising from 72 to 190 according to the report, and the number of black separatist groups (as defined above) also increased from 113 in 2014 to 180 last year. SPLC thinks its numbers underestimate the full scope of the problem because of the ability of groups to meet on the Internet without drawing notice. 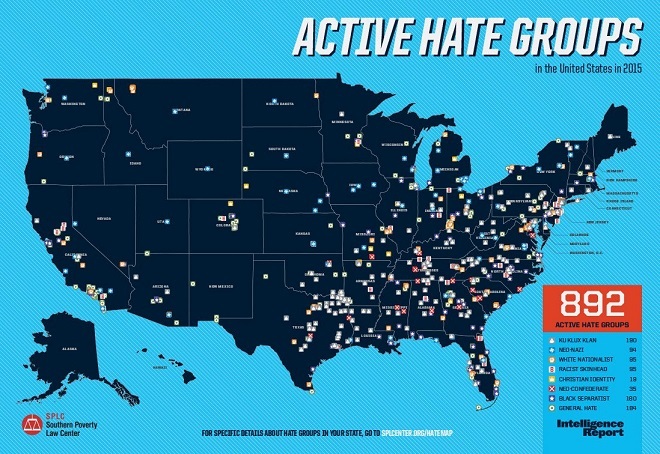 Still, some believe that SPLC overestimates the number of hate groups. “They paint with a very broad brush, and in the process they tend to sweep up people that are politically conservative,” said Carol Swain, a political science professor at Vanderbilt University, who has criticized the organization’s methodology in the past. “I think they do it in a very harmful way and they abuse their power as an organization.” SPLC did document a 14 percent swell in anti-government “patriot” groups, which rose from 874 in 2014 to 998 last year. Just days before the midterms, we are faced with a frightening scenario of our own making because, in the end, we cannot expect to be protected if we do not work hard to protect one another. Armed guards won’t do it; organizing, voting, and coalescing around a common future will.